I’m ALL for the super yummy family recipes you get to splurge on every Thanksgiving! It just wouldn’t be right to go without Grandma’s famous pies! But our family is one that has had to make some changes to our cooking over the years due to some food allergies and other autoimmune disorders. Although a challenge at first, it’s actually been pretty fun to learn how to make tasty dishes without all the heavy and processed ingredients. Thanksgiving is no less satisfying but SO much healthier. Here are some tried and proven healthy side dish recipes for a gobbling Thanksgiving. 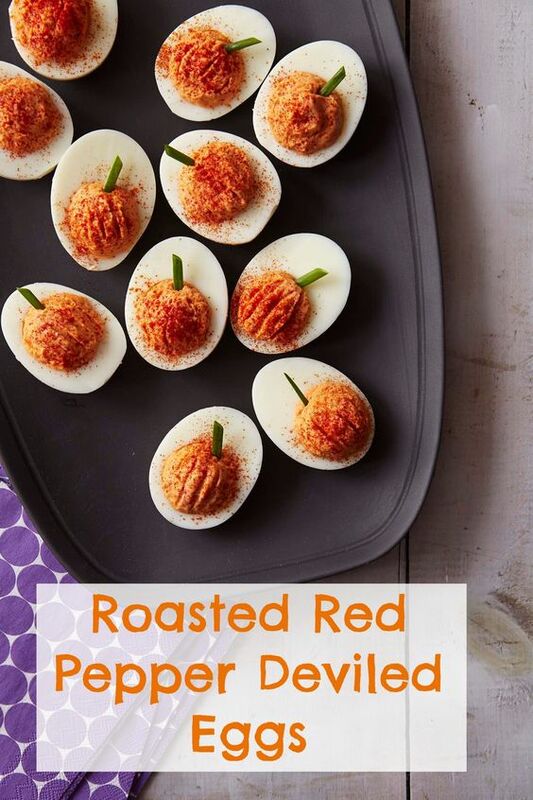 I know deviled eggs are traditionally an Easter dish, but the pumpkin shaped filling makes these perfect for Thanksgiving too! Replace the mayo with a sugar free Greek yogurt (like Fage Total 0%) for an even healthier pop of this heavenly deviled dish. Whether you’re a vegan, gluten intolerant, or just love some good squash, this is a dish for you! The quinoa offers a good source of protein for those not eating meat as well as an exceptionally satisfying stuffing for those with gluten issues. 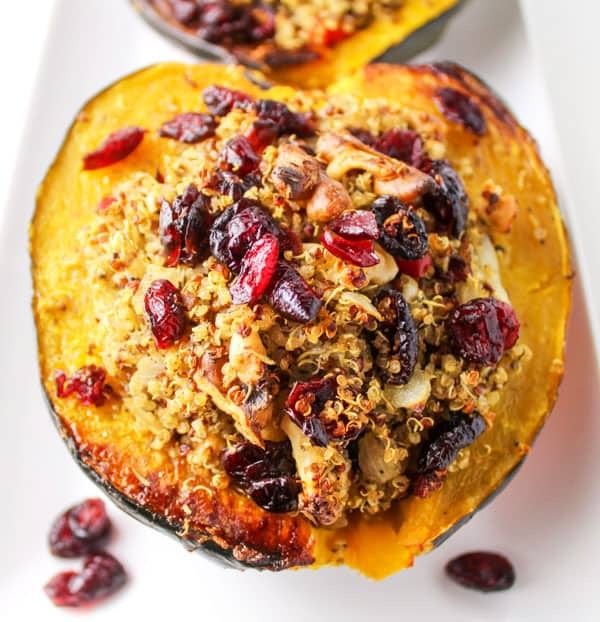 Pair it with the roasted acorn squash, and you’re practically set for your feast! Recipe found here. Another favorite way to get the protein benefits of the quinoa grain is with this light and crispy salad. 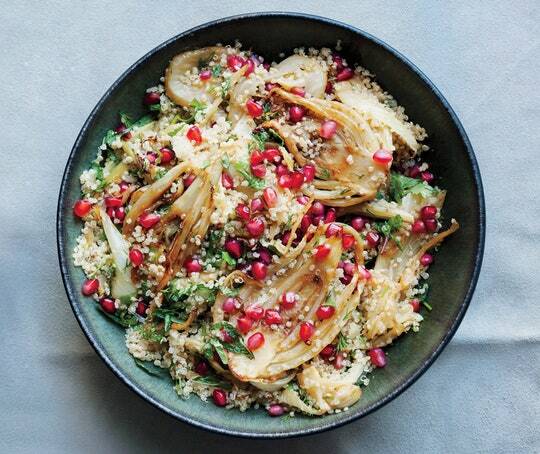 The fennel and pomegranate give just the perfect hints of sweet and spice. Recipe found on Bon Appetit. 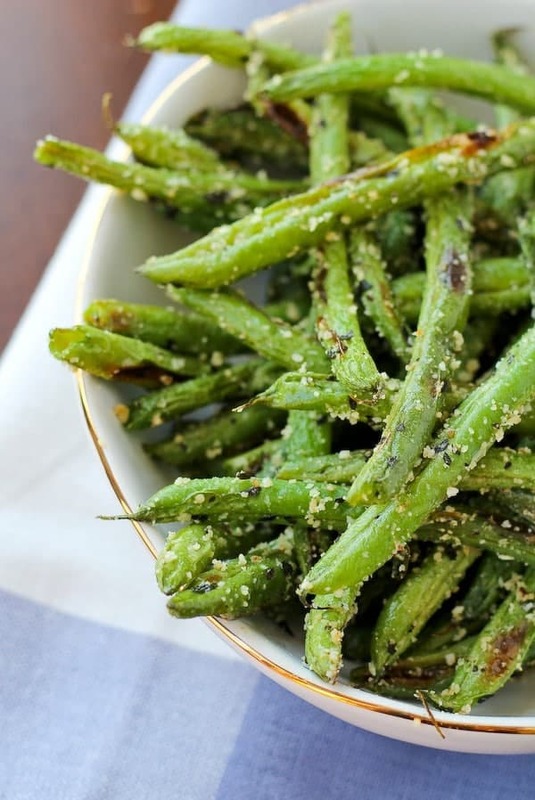 Green beans do NOT have to come in a casserole to be worthy of your big Turkey Day feast! Especially not with a tasty roasted recipe. Try this healthy recipe sans the heavy sauces and cheeses. You’ll LOVE the little crunch with hints of parmesan and basil. I replace the parmesan with garlic when lactose is a concern. Source. 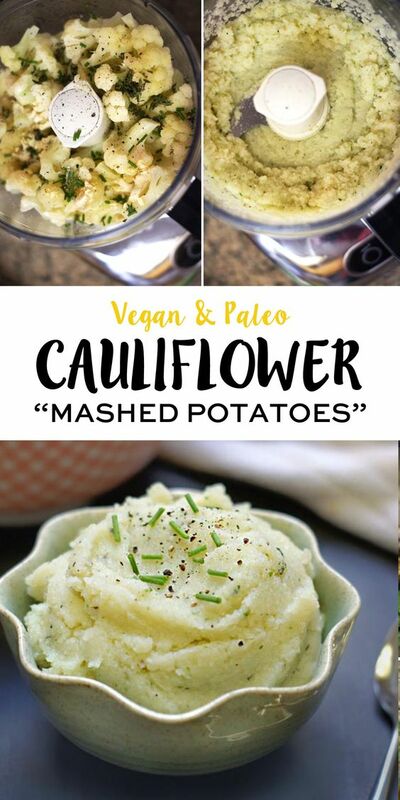 Dinner guests will have to do a double take with this Thanksgiving side dish to realize they aren’t eating mashed potatoes! We have to be careful of starchy foods in our home, so we’ve learned to appreciate using cauliflower instead of potatoes. And truthfully… I don’t miss potatoes at all with recipes as good as this one! It’s fluffy, herby, and satisfyingly smooth. Get all the mashy goodness here. Candied yams were once my absolute favorite Thanksgiving side. But all that heavy butter and sugar really isn’t necessary when you use a drizzle of olive oil and savory herbs. 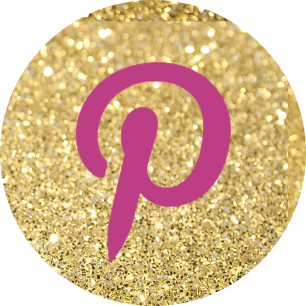 Give this recipe a try and you’ll agree as well! 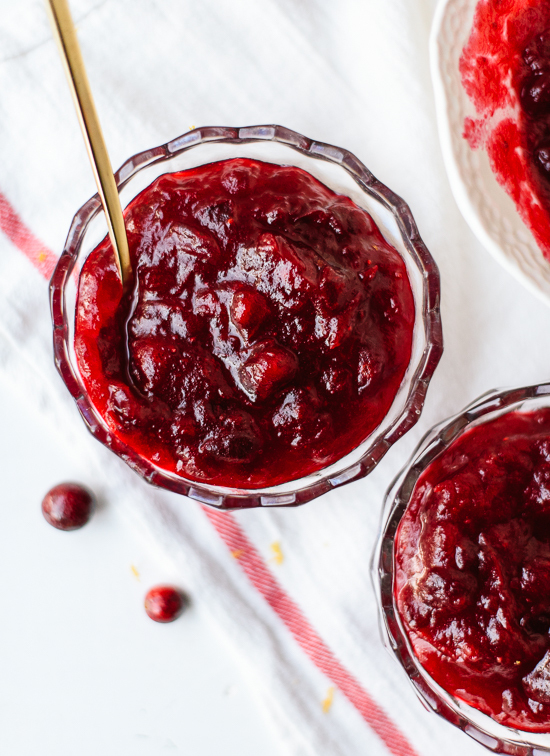 You can’t have turkey without cranberry sauce in our house for Thanksgiving. Cranberries may be tart but since their also a fruit with natural sugars it really isn’t necessary to load your sauce with more sugar. 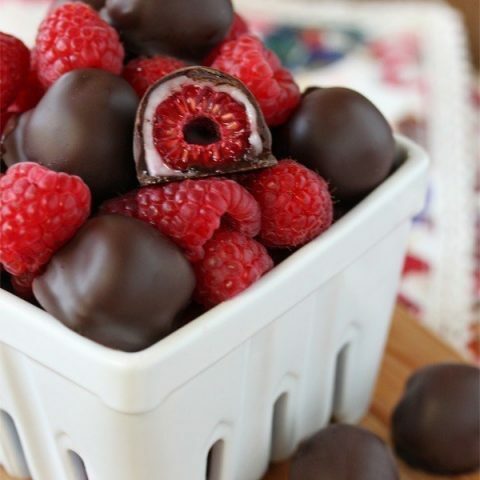 Try this naturally honey-sweetened recipe instead. Source. If you’re watching your gluten or carb intake, this sweet potato stuffing is the perfect answer. A satisfying base of pork, sweet potatoes, onions, and carrots mixed with additional pops of cranberries, pecans, and pears… it’s an explosion of savory with sweet in all the right amounts. Compliment your turkey feast with the natural earthiness of this roasted carrot and mushroom dish. The natural sweetness of the carrots coupled with the savory mushrooms and other herbs will have you enjoying every bite. The natural stringiness of spaghetti squash makes for a fantastic replacement of sauce-heavy pastas. Roast up this noodle-like gourd and combine it with some favorite autumn worthy spices for a truly satisfying Thanksgiving side dish. Recipe found here. I find that the brown sugar in the recipe isn’t necessary at all!